We are the persons who are dying. My friends, my family are the ones who go through water, they are the ones killed in avalanches. How can the purpose of this negotiation not be people? How can our voices be silenced here? References to human and Indigenous rights have been removed from Article 2 in the core part of the Paris Agreement draft. They remain in the preamble. More than 240 civil society groups insist the human rights language be re-inserted into Article 2. Article 2 is about the purpose of the agreement which surely is to protect people and the climate said María José Veramendi Villa, Asociacion Interamericana Para La Defensa Del Ambiente (AIDA) of Perú. “Indigenous peoples are amongst the most impacted by climate change,” she said in a press conference today. Article 2 also sets out how the agreement is to be implemented. This is crucial because some purported climate actions already in place such as biofuel plantations and carbon sequestration projects have already violated the rights of local people. People have been removed from their ancestral lands and protesters have been killed in Africa, Asia and Latin America. Norway, the European Union, the US and others oppose the inclusion for reasons that are completely unclear said Veramendi. “It doesn’t change obligations that are already in the UN Declaration on Human Rights,” she said. Countries like the US are only acting to protect the interests of a few powerful corporations in these negotiations, said Greenpeace’s Nadioo. That’s why there is a global movement, a dynamic movement for real climate action that they cannot stop, he said. The main issue in Copenhagen in 2009 was determining each country’s fair share of CO2 emission reductions cuts and by when. If a flag could be attached to every CO2 molecule humanity has put into the atmosphere over the last 150 years, about 70 percent would be the flags of wealthy countries: the U.S., United Kingdom, Germany and so on. Those rich nations agreed to make some CO2 cuts by 2020 but they were mostly small and voluntary. In exchange poor countries were promised $100 billion a year by 2020. 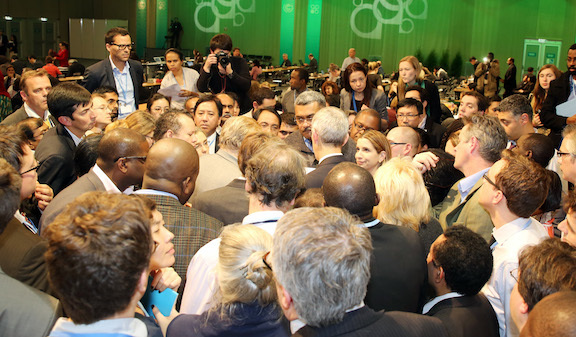 How much has changed at COP 21? #1 Most countries have filed their plans for emissions reductions but they aren’t big enough to keep temperatures below 2C, never mind 1.5C. There is agreement more cuts are needed but the big issue is when. Europe and small countries want to see another round of cuts every 5 years starting as soon as 2020. Other countries like India want longer time frames. #2 Money has always been issue. In Copenhagen rich countries promised $100 billion a year by 2020 to help poor countries cope with climate impacts and to green their economies. The money was supposed to ramp up from about $10 billion a year in 2010. Instead it’s been a fight to get any funds. Now developing countries want guaranteed amounts from 2015 to 2020. #3 Legally binding agreement. For the first time the US is saying it will agree to this for parts of an eventual Paris Climate Agreement. The US will not sign a legal-binding emission reduction target, Todd Stern, the chief negotiator said today. Hopefully, on Earth Day today, high-level ministers from all countries are thinking about what they can bring to the table at a key set of meetings on climate change in early May. This will be the first opportunity for governments to discuss their proposed climate action plans in light of the finalIntergovernmental Panel on Climate Change (IPCC) report released last week. That report warned that carbon dioxide (CO2) emissions from burning fossil fuels are still rising far too fast, even with more than 650 billion dollars invested in renewable energy in the last three years. 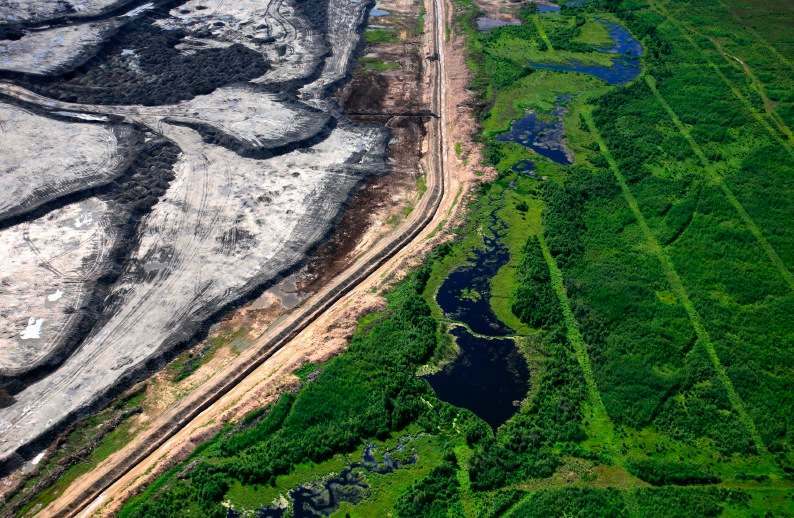 However, over the same time period even more money was invested in getting more fossil fuels out of the ground. The latter investment is keeping humanity and the planet locked onto a devastating path of a global temperature increase of four to five degrees C, the IPCC’s Working Group III report warned. Scientists and economists say that unlocking ourselves from disaster will require a massive reduction in emissions – between 40 percent and 70 percent – by midcentury. This is can be readily accomplished without inventing any new technology and at a reasonably low cost, reducing global economic growth by a comparatively tiny 0.06 percent. “It doesn’t cost the world to save the planet,” economist Professor Ottmar Edenhofer, who led the IPCC team, said at a press conference. It does mean an end to investments in expanding fossil fuel infrastructure as the annual growth in CO2 emissions from burning oil, coal and gas must peak and decline in the next few years. 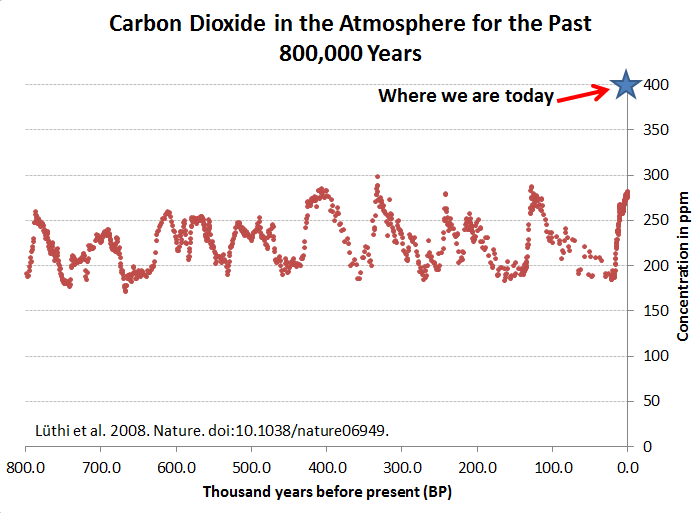 The atmosphere already has 42 percent more CO2 than it did prior to 1800. This extra CO2 is trapping more heat from the sun, which is heating up the oceans and land, creating the conditions that spawn super storms and extreme weather. And it will do so for the next 1,000 years since CO2 is a very durable molecule. “There is a clear message from science: To avoid dangerous interference with the climate system, we need to move away from business as usual,” Edenhofer said. 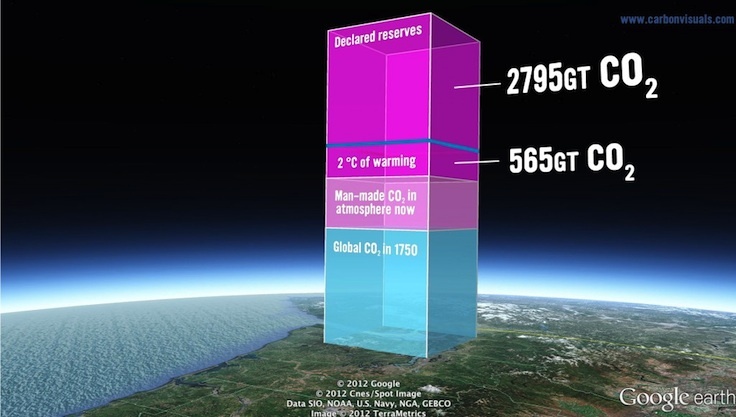 The most important number in history is now the annual measure of carbon emissions. That number reveals humanity’s steady billion-tonne by billion-tonne march to the edge of the carbon cliff, beyond which scientists warn lies a fateful fall to catastrophic climate change.